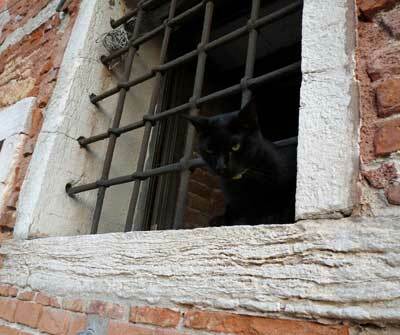 Cats in Venice lead secretive lives. 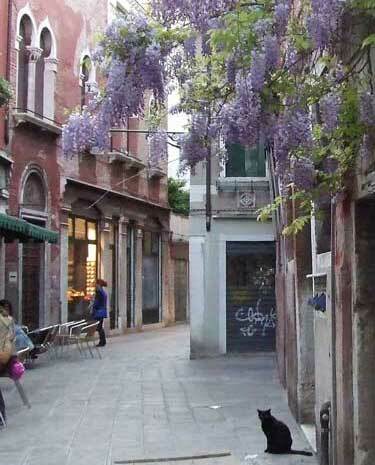 On first acquaintance with the town, it is the pet dogs which seem to rule the streets, touring with their owners every evening in a human and canine passeggiata. 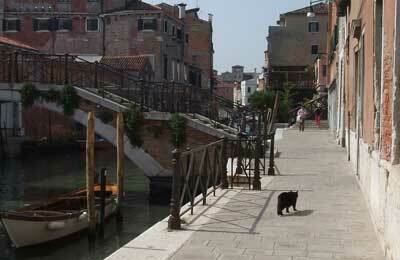 But Venice is also home to a significant number of cats. 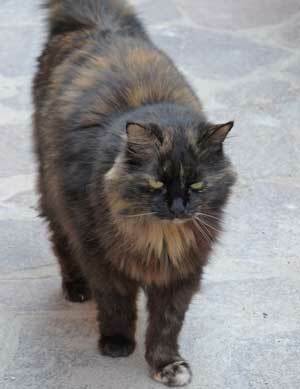 At night, when the dogs and their humans are safely tucked up in bed you can sometimes see a sleek dark feline shape patrolling a canalside, or springing over high walls on the nightly hunt. 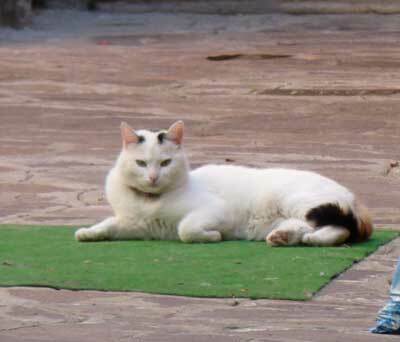 There aren't many of the usual Italian 'wild' cats in Venice. 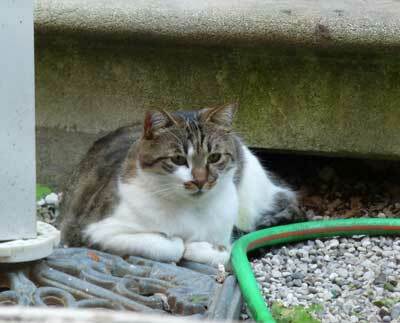 Those that there are, you can generally find in the vicinity of San Lorenzo (see below). 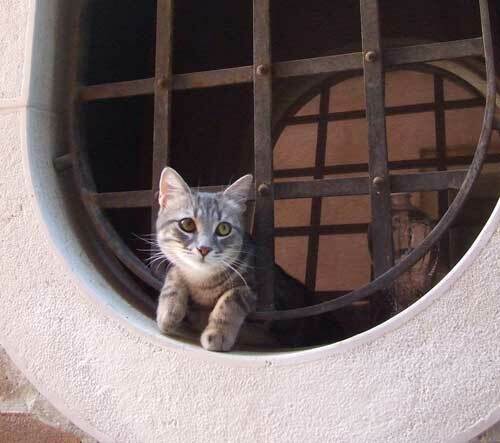 Most cats in Venice are pets and lead indoor lives. 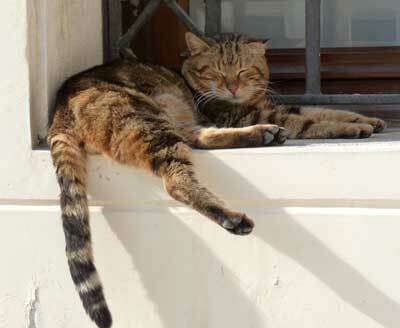 On sunny days you can spot them on window ledges basking in the sun. 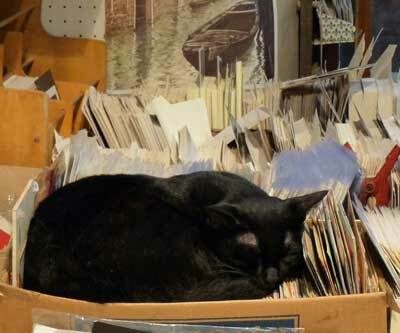 If you - or your children - are desperate to meet Venice's cats, I'd suggest visiting the Acqua Alta bookshop (Castello 5176, Calle Longa Santa Maria Formosa), where you can generally find one or more of the resident cats curled up. 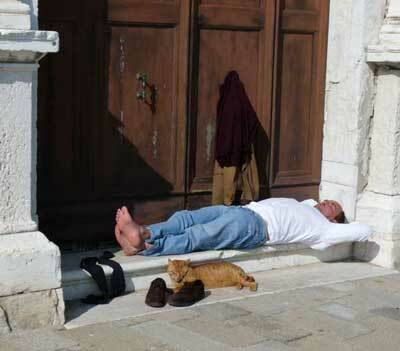 Nearby, outside the church of San Lorenzo, are a few wooden cat 'kennels' where locals feed some stray cats. 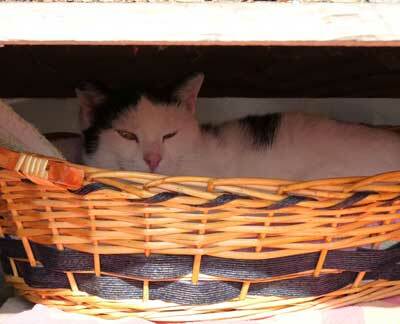 There is an organisation called Dingo (see links panel) which runs Venice's cat sanctuaries. One is situated on the Lido and the other is on the mainland. 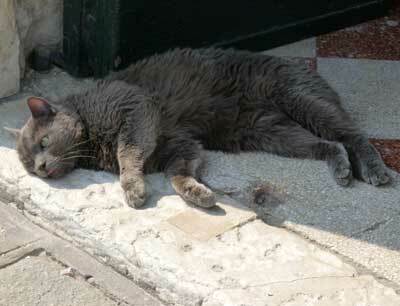 Note that cats in Italy are not always the pampered, tame and hygenic creatures you may be used to. 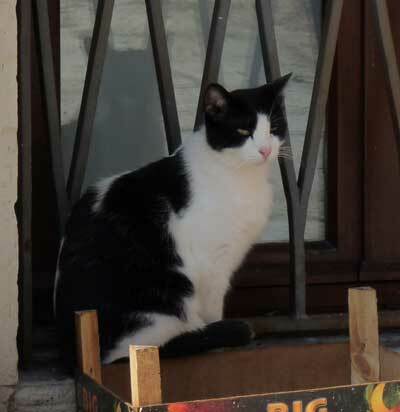 Shops for cat-lovers: in the San Marco district a souvenir shop on a corner between Calle Lungo XXII Marzo and Campo San Maurizio sells kitsch posters and prints of Venice featuring be-costumed cats. 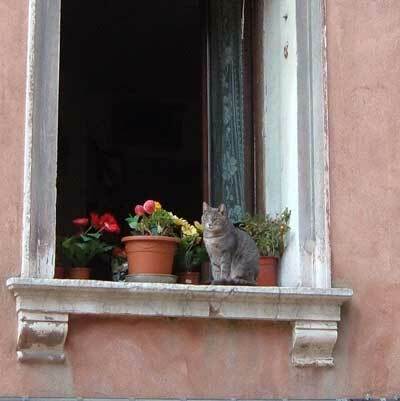 Between the Rialto and Campo San Polo, in Campiello dei Meloni, you'll find a nice cat-lovers' shop selling cat ornaments and knick-knacks, including pretty little painted tiles featuring cats in Venice. 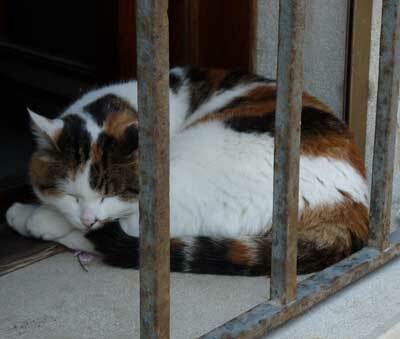 The Acqua Alta bookstore, as mentioned above, has real live cats.